Arkansas has a storied history when it comes to rice. In fact, we lead the nation in rice production, with more than 1.1 million harvested acres in 2017, according to the USDA. While some of the rice grown accounts for one of the state’s most profitable exports, many Arkansans enjoy locally grown rice here in The Natural State. Riceland Foods, a farmer-owned processor and marketer of rice with Arkansas mills in Stuttgart, Jonesboro, and Waldenburg, sells a variety of locally grown foods, including rice and soybean products. 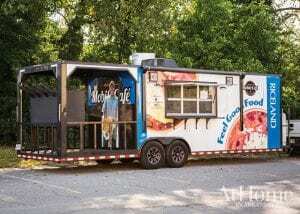 A year ago, they expanded their reach with the introduction of the Riceland Mobile Café, a food truck that makes rounds throughout the Grand Prairie and central Arkansas serving up rice-based dishes. “Everything we serve has rice incorporated. Our staple items include red beans and rice, creole, chicken fried rice, and fried catfish (which features Riceland’s gluten-free whole-grain fish breading made from crushed brown rice),” says DJ Horton, who works in Riceland’s marketing department. “We have the same base menu but rotate new items in and out based on demand. Our goal is to create gluten-free menu items with bold flavors and a tie to traditional dishes people know and love,” he adds. 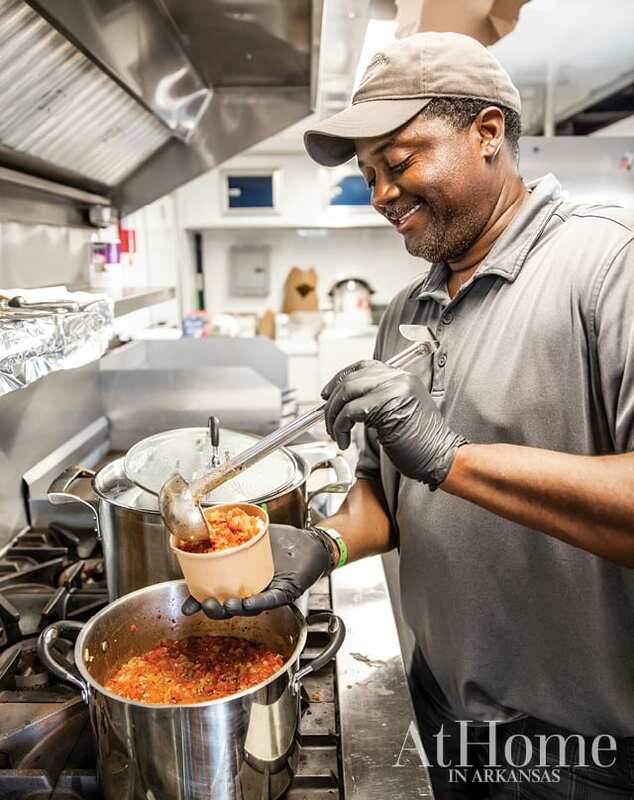 The truck is helmed by chef Louis Cole (pictured left), who has worked with Riceland for 14 years while running a catering side business. Louis became the full-time chef when the mobile café idea came to fruition. “We all thought Louis would be a great fit for serving our customer base. He is a fun-loving guy with a great attitude, and he’s a true foodie,” DJ says. 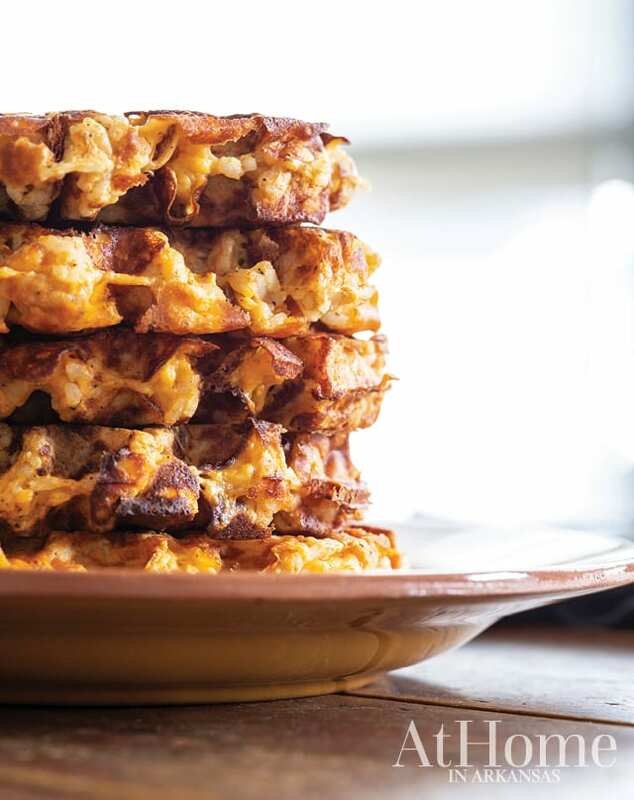 For this issue, we asked chef Louis and his team to create a dish to ward off the chill of fall months and satisfy the heartiest of appetites. “Rice is great paired with numerous soups and stews, but especially chili,” DJ says. 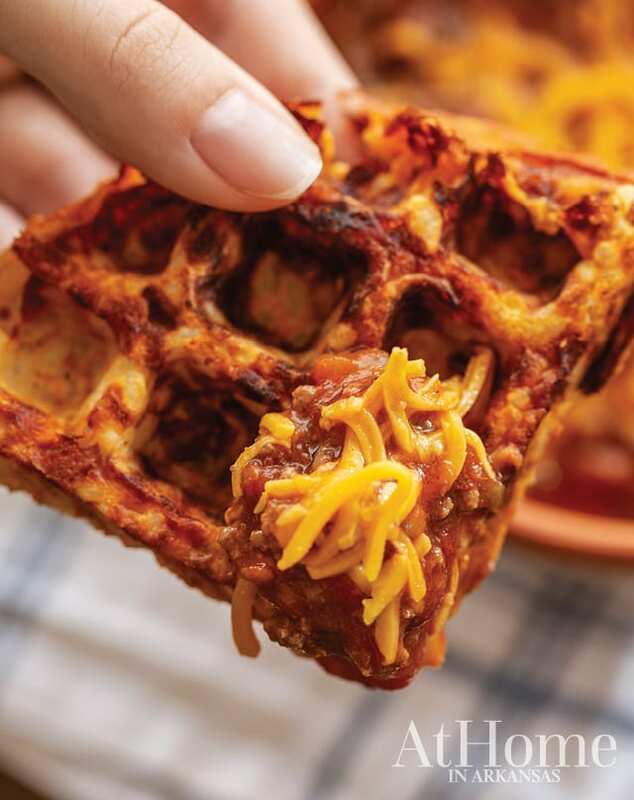 “We felt like the Cheesy Rice Waffles were a great complement to the hearty chili. 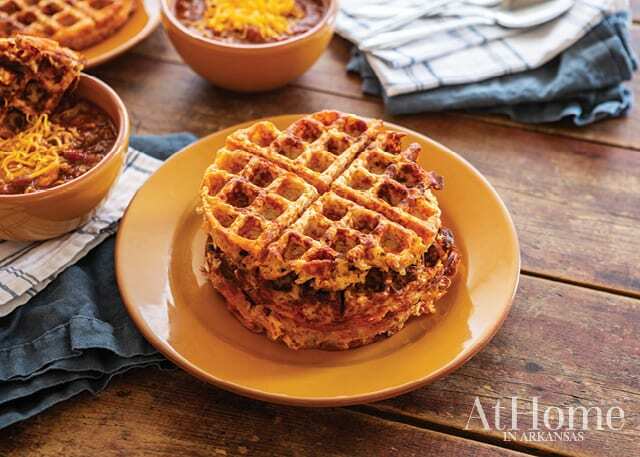 The waffle has a crispy crust on the outside thanks to the cheddar cheese, but the rice stays soft and cheesy on the inside,” he adds. Try your hand at the recipe or visit the Riceland Mobile Café during the month of October to sample this and other dishes from their rotating menu. Preheat a Belgian waffle iron. Other waffle irons will work just fine, although serving sizes may vary. In a large bowl, stir together all of the ingredients until well combined. When the waffle iron is preheated, grease it well. Press the rice mixture into the wells of the waffle iron as evenly as possible. Close the lid and allow the mixture to cook until golden brown and bubbly, approximately 3 to 5 minutes. Carefully remove the waffles. Enjoy hot with a bowl of Smoky Beef Chili. 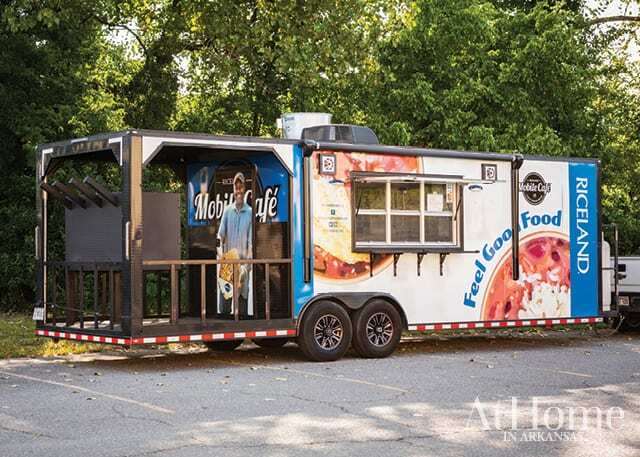 Catch a Bite at the Riceland Mobile Café: The food truck makes weekly stops in Stuttgart and DeWitt and more recently has set up shop at the Little Rock Air Force Base as well as other mobile-fare-friendly venues in central Arkansas. Their schedule is posted on Twitter and Instagram (@ricelandcafe) as well as Facebook (facebook.com/ricelandmobilecafe) at the start of each week. In addition, they also offer customized catering.